Skills passed down by medieval craftspeople to create small-scale designs using 24 carat gold leaf and pigments. 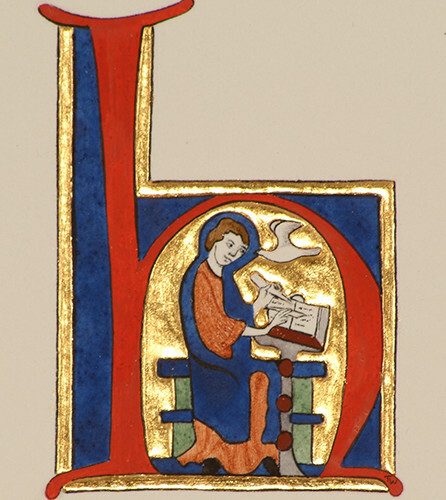 No drawing experience necessary, choose from a selection of medieval designs, including illuminated letters. Toni Watts (Lincoln www.highamhall.com/toni-watts) Residential: £243 Non-residential: £176 inc. all materials Toni’s FURTHER ILLUMINATION follows.